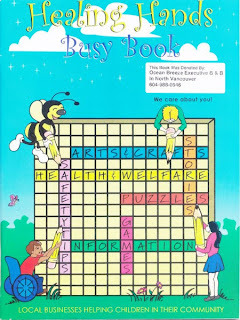 This very special book was designated for sick or injured children who are in a hospital or health care facility . This book is filled with word games , puzzles , colouring contests , short stories , safety tips , health and welfare information and much more. The purpose of this book is to supply children with something that will make their days a little more enjoyable and perhaps even lift their spirit. These books are donated individually by our company “Ocean Breeze Executive Bed andBreakfast“ with sign on the front page . By staying in our place you participate with that very special mission and you will be part of it .